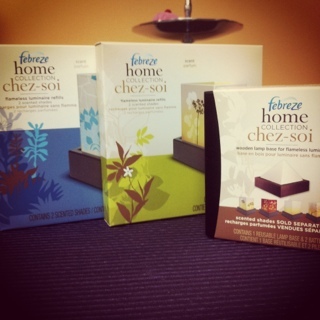 Thanks to a tip on another website I stopped by London Drugs last night and picked up some Febreze Luminary Home Collection products using the $4.00 off Febreze Home Collection coupon from P&G mail out and inserts. Thought these would make good socking stuffers. Cesa Levy is an Environmental Handling Fee – what I want to know is why do I have to pay the government 12% tax on an environmental handling fee? Is’t like when I have to pay tax on my shipping fees, that really makes me mad. This entry was posted in canadian coupons, coupons, london drugs and tagged canadian coupons, coupons, london drugs on December 6, 2011 by Courtnie. Today,I went to a London Drugs to buy a blender. I also was surprised when I checked my receipt. I didn’t know what Cesa Levy was, and more surprised when I noticed I paid the taxes for it.